Set around lush gardens, Royal Savoy Sharm El Sheikh Hotel is an ideal spot to have a perfect beach holiday in beautiful Sharm El Sheikh. The luxury resort even has pools with underwater music! Just a short walk from the gorgeous White Knight Beach, the exclusive hotel faces the ocean and has three infinity pools cascading towards the sea, along with five other pools around the complex. You can spend time on the world famous sandy beaches of Sharm, try scuba diving, kayaking, banana boats or jet skis, and a 10-minute drive will get you to Jackson Reef. The hotel’s décor embraces Far Eastern and European designs, creating a unique, cosy blend that offers an ultimate comfort, refined and flawless hospitality to its guests. The hotel offers a plethora of recreational facilities to the guests, including seven outdoor pools, sumptuous spa, body wraps, aromatherapy and more. Whereas, the gastronomical experience at the hotel is phenomenal, with various multi-cuisine restaurants and a nightclub. There's a rooftop terrace, too, for the ones who fancy sunbathing under the Arabian sun. The rooms at this stunning hotel get the details right with huge tubs and Egyptian cotton sheets. So if you are a couple looking for a relaxing getaway or a family on holiday, you are sure to get what you always wished for at the Savoy Sharm El Sheikh Hotel. 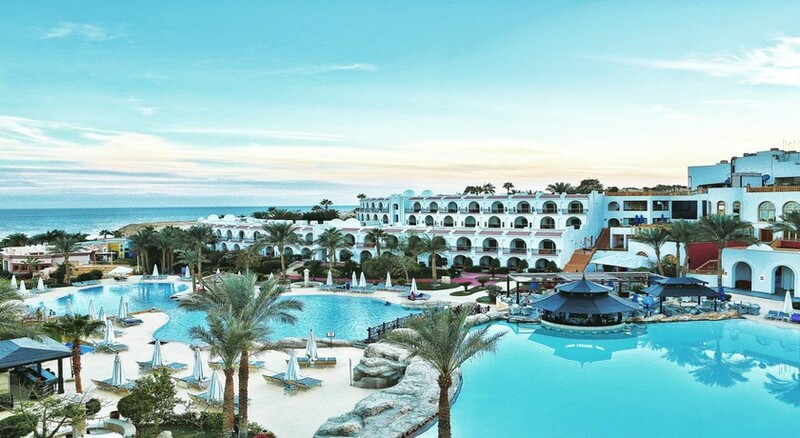 Located in Shark's Bay, Royal Savoy Sharm El Sheikh is right next to SOHO Square – an award-winning entertainment centre – and a short stroll from Montazah Beach. But, if you’re not seeking to explore the depths of the Red Sea, then a visit to the Bermuda championship golf course can be a superb alternative, which is located only 5km away from the hotel. Sharm El Sheikh International Airport is 8km away, and there is a pick-up service available by hotel bus, free of charge. 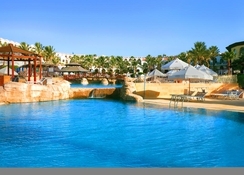 Royal Savoy Sharm El Sheikh hotel has 42 rooms and 37 suites, stunningly adorned with Eastern and European architectural styles. Each one comes with climate control air-conditioning, direct dial telephone including voicemail, satellite television, a mini bar, laundry facilities available on request and en-suite. If you’re staying at standard rooms, then you have a luxury to enjoy wonderful views of the garden, pool or ocean from a private balcony/terrace. The hotel also offers non-smoking and inter-connecting rooms on request. The hotel is gastronomically rich with variety of dining options, namely Zen-Chinese Restaurant, Bombay-Indian Restaurant, Saffron-Middle Eastern Restaurant, Kalina-Ukrainian Restaurant, offering rich menus from around the globe. In addition, the Hotel features a number of cocktail bars, like the Mandarin Bar offers, which during 'Soccer Season' becomes a hotspot for sports lover; the Electric Bar; Cafe Chino; Morrocan cafe and Sushi bar. also the English House featuring the Queen Vic pub and a steak house. If you’re staying on half board or full board, then you have access to all of the a la carte restaurants for dinner. The hotel features seven outdoor swimming pools, with one multi-level swimming pool that offers state-of-the-art underwater music and creative rock formations. The sun lovers can head to the private beach of the hotel, 300m away that comes with loungers and parasols. A fully equipped gym for the ones who don’t want to miss out their workout. And, the ones who prefer to explore the Red Sea, there’s a Dive centre, snorkelling, Sun n Fun centre for some exciting watersports. Additionally, there’s a full service SPA, fitness room, sauna, steam room, Jacuzzi, beauty and therapeutic treatment rooms, tennis courts, gardens and games room. Kids can enjoy at kids’ swimming pool, kids’ club, a games room, a playground and various activities like face painting and competitions. There’s ice skating, too, at the hotel that happens from 15:00 till midnight. And those seeking some late nightly entertainment can head to Pangaea night club, where dancing the night away is the order of the day.